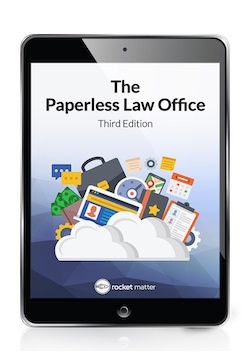 Taking your law firm paperless is a lot simpler than you might think—and it’s a change you can’t afford not to make: You’ll save time and money. Plus, you’ll make your clients happy! Here are some tips from Rocket Matter that will teach you how to organise, archive, and access your important documents and case files digitally. You’ll also get a first-hand look at one firm that went paperless so you can know exactly what to expect as you go through the process!